There are some huge happenings around Central Wharf these days—like, school-bus huge. We’re talking about humpback whales, of course! Plan your own whale-a-palooza this weekend with Humpback Whales 3D at the Simons IMAX Theatre and an unforgettable New England Aquarium Whale Watch. Start on the big screen with Humpback Whales 3D, where these surprisingly agile behemoths appear life size on the largest movie screen in New England. Imagine this life-size action splashing down in 3D! Thunderous breaches and in-your-face feeding frenzies are bowling over landlubbers watching Humpback Whales 3D at the Simons IMAX Theatre. In fact, this is the first time these graceful giants have been filmed with the clarity and enormity afforded by IMAX technology, and it’s simply spectacular. 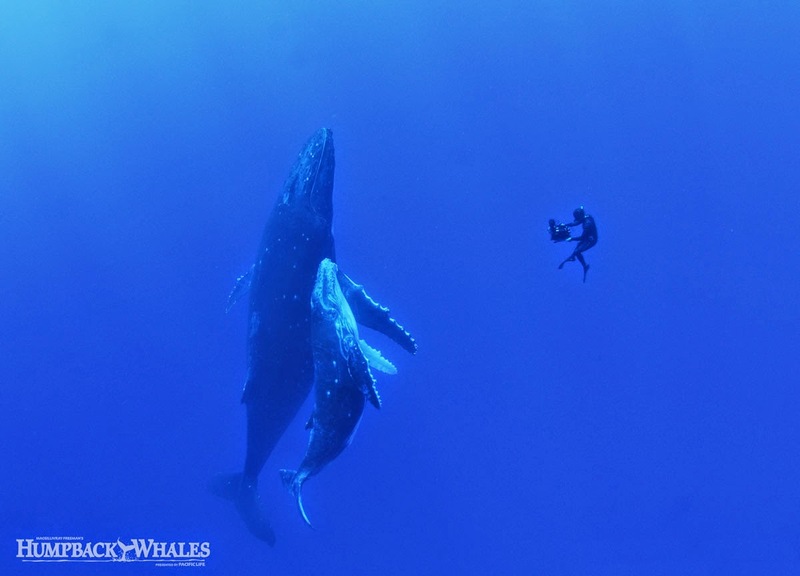 A sense of scale: Humpback whales can grow to be 60 feet long. 60 feet! Float peacefully in indigo blue water alongside a lifesize humpback whale, hear enchanting whale song in digital surround sound and whiz along the water in a skiff alongside scientists in the field. This film provides a global perspective of this species and its diverse habitats as humpback whales bounce back from the brink of extinction. Buy your Humpback Whale 3D tickets online. Then a short stroll across the Aquarium's Front Plaza and you’re poised for an exhilarating dose of sea breezes and wildlife as you observe whales in our coastal backyard on board a New England Aquarium Whale Watch, presented by Boston Harbor Cruises! Passengers on a New England Aquarium Whale Watch get front row seats to see the whales in person, in their habitat. Have you ever wondered what whale breath smells like? Want to record your own feeding frenzy videos? Be among the first to welcome the whales back to their summer feeding grounds on Stellwagen Bank, which is one of the world’s richest feeding grounds for marine animals, including whales, seals, sea birds and dolphins. 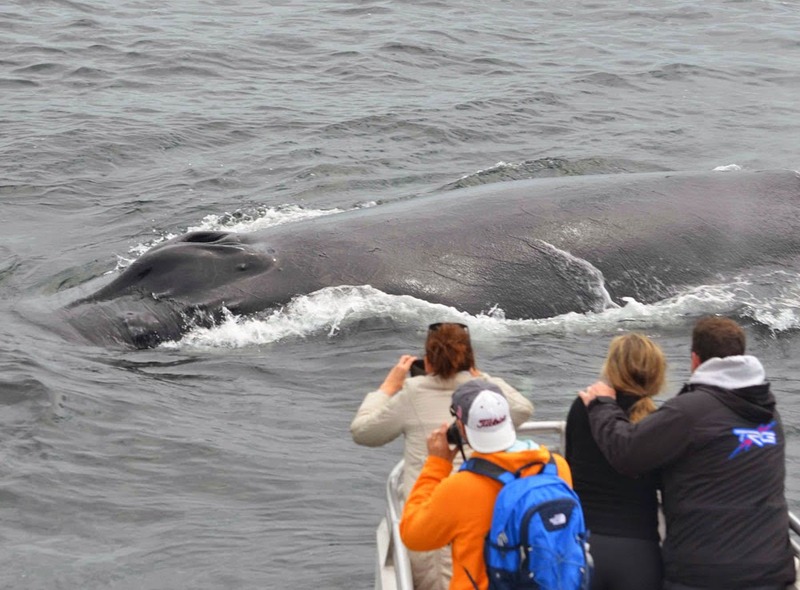 Whale Watch tickets are available online through our partners at Boston Harbor Cruises. 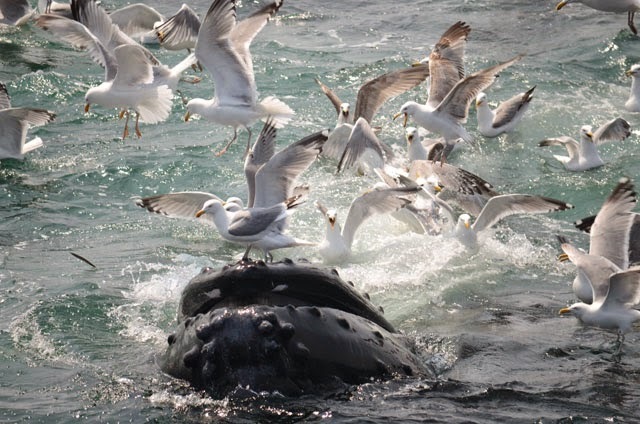 Feeding frenzy on Stellwagen — for whales and seabirds! 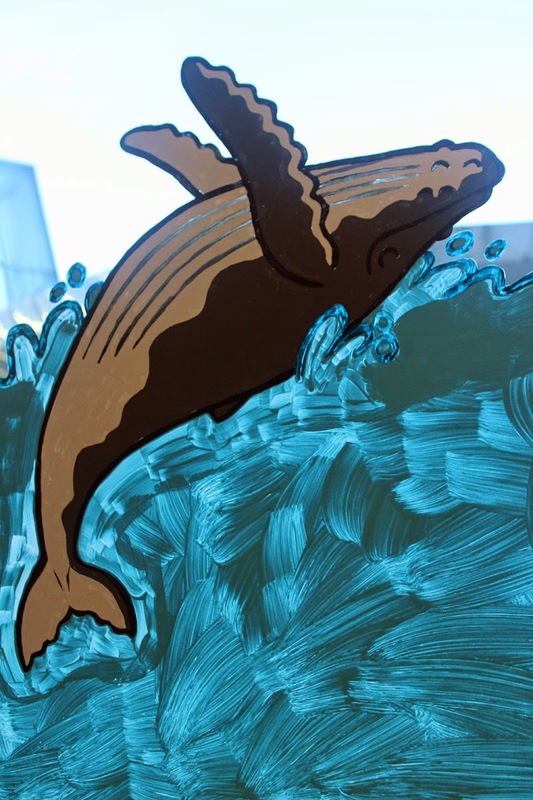 As if that's not enough whales for you, check out the Aquarium's Gift Shop windows adorned with the adorable cetaceans created by illustrator and Aquarium educator Maris Wicks. If there's one way to make it a big weekend, it's adding some whales. Make it happen! 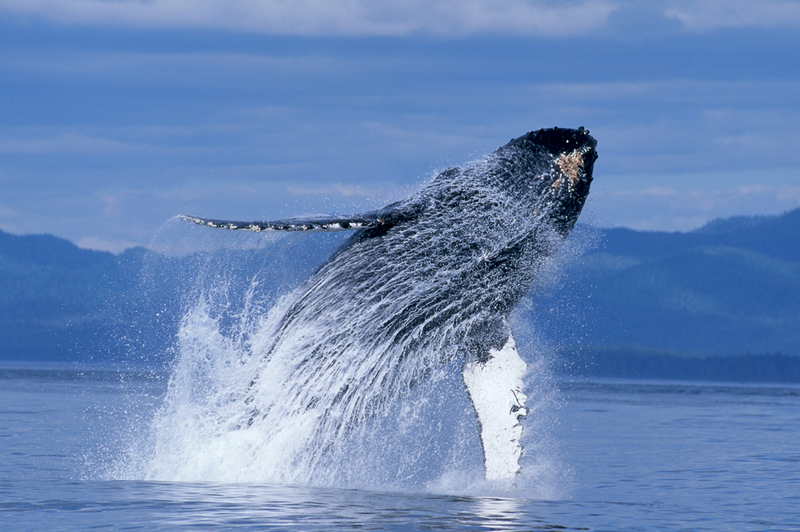 Check out humpbacks in IMAX, artfully drawn and in real life with the Aquarium.